Please join JASC and Tohkon Judo Academy in welcoming in the New Year at the annual Kagami-Biraki celebration. 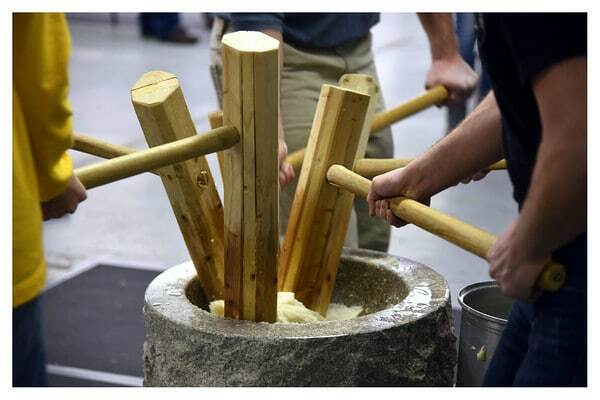 The festivities will begin with the traditional rice pounding ceremony, Mochi-Tsuki. Complimentary sweet rice cakes, Mochi, will be available to all. Rev. Fumioka will perform a traditional Japanese Tenrikyo purification ceremony and entertainment will be provided by Kokyo Taiko Chicago, and Tohkon Judo Academy. We will conclude with a potluck fellowship luncheon and we ask for your support in bringing a serving of one of you specialties to share with others.